You want to change career paths or take on a new level of responsibility, so you decide you are going to buy a business. It should not be an easy decision since there is an immense amount of work that goes into the process. 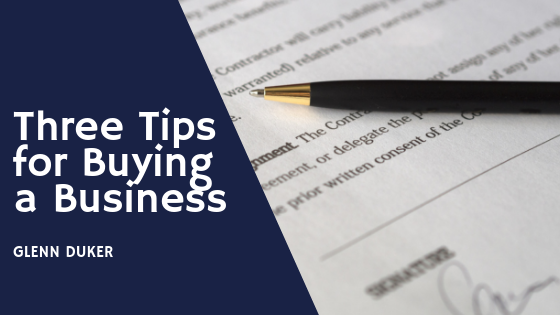 It is hard to narrow down tips for buying a business since there is much that goes into an agreement. These three tips are some of the essentials when you consider buying a business. Buying a business is a tremendous endeavor. Not only is the purchase of the business itself a huge commitment but so is the process beforehand. You do not want to make this decision without doing your due diligence. Take the time to figure out what you are interested in, determine if the business model has the chance of being successful, determine any risks, discuss why the business is for sale, and make sure it aligns with your budgets. There is a lot of research to be done to make sure that purchasing a business is the right move to make. It sounds strange to say buy the assets and not the business. You will receive a better tax treatment since your taxes will be based on what you paid for them and not what the seller paid for. Another advantage is you do not assume any liabilities of the previous owner. There will, however, be liabilities included in the acquisition agreement. These liabilities include product liability, environmental liability, liability under bulk sales, and employee benefits. Every contractual agreement is different and should be negotiated with the help of counsel. Hiring a business lawyer and an accountant will help you with the numbers and the paperwork. Accounts help to determine the assets, liabilities, and what possible earnings could be. 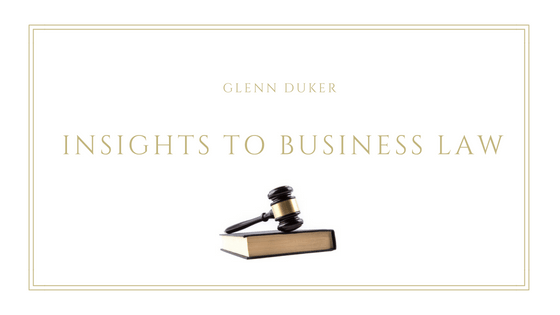 A lawyer will help draft, proofread, and negotiate contracts during the purchase of a business. Having successful professionals can make purchasing a business a smoother process. Creating a successful beginning may create an easier life of your business. You will have a clearer picture before closing the deal. Succession isn’t just the creating and signing of a will. Succession law redistributes the property of a deceased estate upon the death of its owner to the beneficiaries entitled, either in the will or by the law. Succession is concerned with the deceased person’s property whether there was a will or not. Lawyers who are involved in estate planning will guide their clients through the estate planning process. Lawyers will discuss the details of your succession plan before drafting the will. This creates an easier process of drafting the will and getting it right the first time. Every situation is different. Some people have homes, cars, businesses, or other assets that some may not have. Along with all the assets are different whether it large or small business or a used or brand new car. Some people may want to exclude family members from their estate while others may want all family members to have an equal share. 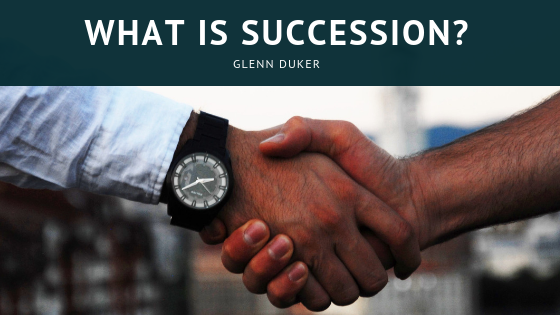 In terms of succession in businesses, succession planning is in the case of the owner or key member of management ends up leaving the company, is terminated, retires, or dies. This ensures that the business does not have to stop its day to day activities. It will outline the change in leadership that may occur provided that the before mention were to happen. Creating a succession plan could benefit the company by retaining key employees, reducing the tax burned, and maintaining the value of its stocks and assets during the transition of ownership. This also provides the owner with a sense of comfort since leaving won’t burden the company. Although there are many benefits to having a succession plan in place, many do not. An owner may not develop one because they do not want to choose a successor, they don’t have many interests beyond the company, or they do not want to confront their mortality. Succession planning entails details that compares to planning one’s own death which may cause a discomfort. Succession can take many years to plan and the implementation can take longer. Taking the time to create this plan will assure them a way out of the company with enough assets for retirement. The business owner could sell the company to an outsider, family members, retain the ownership and hire new management, or sell to the employees. Owners need to initiate the idea of a succession plan, select details that will be included, educating the successor, and the final transition of the plan. Before you decide to either join and start a franchise, know the chance of failure is present. Just like any other business, if the right steps are not taken, the concept could fail. Testing and doing your due diligence during the early phases could protect you from the number of factors that lead to failure. The concept of the business has to be approved by the consumers. If the idea is not received well by the consumers, the franchise will then fail. Also if your business model is complicated and not easily replicated, your company will struggle. The operations have to be taught at a standard for any businessperson that wishes to replicate it. Also if your business model is too similar to others already established, the business model is not successful, it is not likely to be a successful franchise. Like many responses to real estate and business, the most important thing is location. You could have a great business model and a service or product that all consumers will want but they can’t find you. You are in an area where their not looking for your product or service. Since there is no opportunity in the location, the franchise will not flourish and the possibility of being successful deteriorates. This goes hand and hand with the location, as you could have the best product or service but no one knows about it. If your franchise doesn’t have an established reputation, your consumers will not know to give your business a chance. You have to be knowledgeable about where to spend your advertising efforts. Advertise on a more localized level and niche to reach the right consumer that will bring your company profits. If you do not establish a marketing or advertising plan, your company may fail without anyone knowing it existed. A major reason franchises fail is competition. With around 79,000 franchises in Australia, it is hard to find an idea that is popular but not tapped out. There are certain sectors of franchising that are rising due to the growth in healthier lifestyles. Following along in what is already successful could lead to your downfall. You need to set realistic expectations for yourself and the business. It can take years to see profits and if you are not prepared your franchise could crumble around you. The hard work and effort put into being successful may be a deterring factor when deciding to start a franchise. If the expectations are unrealistic it can lead to failure. 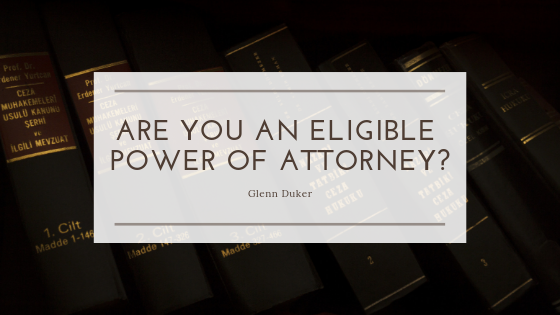 A lawyer is your advocate who should fight on your behalf in a legal situation. They should use reasonable, ethical, and cost-effective means to get you the best possible outcome. You can search online for law firms and private offices or you could take recommendations and read reviews. If you are looking for a lawyer for a legal issue, think of these qualities when researching and meeting with your soon-to-be counselor. If you are not comfortable with your lawyer, you may not feel confident they can do the job. You want to be able to feel comfortable with your lawyer and have an open relationship. This will allow both of you to share relevant information pertaining to your matter. 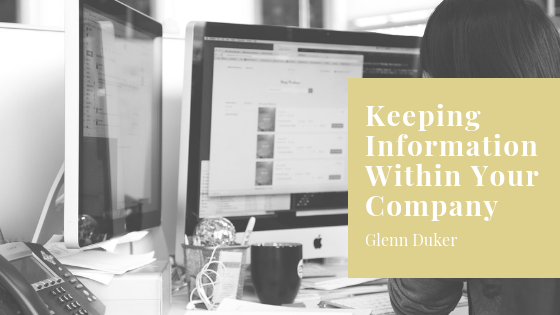 A lawyer won’t be able to fully assist with your matter without knowing all of the information. Look for or ask for their rates when hiring a lawyer. You want your lawyer’s fees to be worth taking the case to trial. If it’s a small dispute it, it won’t require expensive representation. Expensive fees do not mean that the representation will necessarily be any better nor does it guarantee you will win your case. Legal fees should be considered on a cost-benefit analysis. Mid-range priced lawyers generally offer the best value and you will be getting solid experience with a firm that has strong capability without paying the corporate price. Search your possible counsel’s name on the Internet before you meet with them. Check the firm’s Google reviews. Also, ask the lawyer about his or her experience and that of the team. You are entitled to know whether they can do the job. This is because not all lawyers are good lawyers. 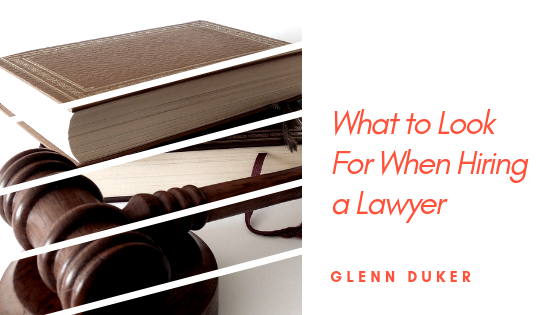 You want to know your lawyer will be with you every step of the way during the trial process. Even if you have a random question or concern in the middle of the night and need counsel, you want a lawyer who will respond swiftly. After your initial meeting, save some questions and send over an email with your concerns. If it takes them days to respond, they may be too busy to be handling your case. Ensure that your lawyer is a good negotiator. Many are very combative when they should conciliatory where appropriate. A lawyer’s goal is to get the job done, having regard to the client’s goals. When choosing a lawyer, you want to find the best fit for you. You need someone who is competent and aware of your needs, not only your cases needs. Find someone who you are comfortable with and successful to help with making a difficult time in your life a little bit easier. Are you pursuing a law degree? 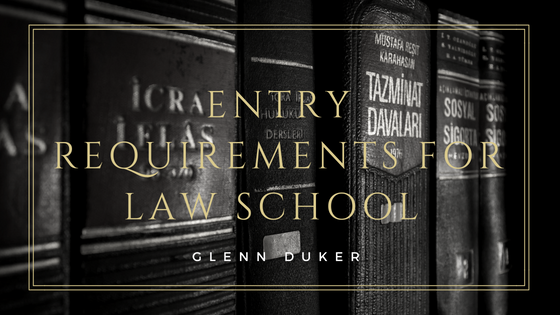 If you want to immerse yourself in the education of law, you need to know the requirements involved with getting accepted. I used my alma mater to go into the depths of requirements of getting into law school. There are four ways to enter the Melbourne JD program. Compromised by a large majority of students, general entry applications are put through a selection process. The process is based on the performance in academic performance in all previous tertiary studies and the Law School Admission Test (LSAT) score. Your application will be ranked based upon these scores. Applicants who ranked the highest will be admitted within the intake quota for that year. Three of the four ways to enter a program fall under the guaranteed entry pathways. This scholarship is one of the most prestigious awards for school leavers and is based on academic merit. You can receive this award by having your Australian Tertiary Admissions Rank or equivalent of 99.99 or above with an undergraduate degree from the University of Melbourne. This opportunity is for high-achieving students from Australia and overseas. You will retain fee exemptions and be guaranteed a place in Melbourne’s graduate program of your choice. The final way to enter a JD program is the free place guarantee. You would need to score a 99.00 or above and at least a 75% weighted average in an undergraduate degree from the University of Melbourne. These students will not be required to complete the LSAT. All of the applicants must meet the English language requirements of the University of Melbourne. Looking into real estate can be a challenge to some people. Other people may just see a good location and sign right away, not knowing what they are contracting themselves into. Other people take the time discussing the terms of the lease with the landlord. When you begin to look for commercial property, compare prices of other properties, determine how long you want to lease the property for, express what other expenses you are willing to pay, and most importantly read over the lease agreement before signing it. Tenants must be careful when signing leases because they are difficult and can be costly to get out of. Landlords will try to get you to sign leases without reading over them. You should always read over your lease to check for any discrepancies from what the landlord had previously stated. There could be hidden expenses in sections of the rent or utilities portion. Landlords may agree to move tenants to a different property if one becomes available during the term of the lease, but if the lease does not state the terms of that agreement, it could leave the tenant paying for moving expenses. If the property is bigger than the building they are currently residing in, there may be higher costs to moving. If the office supplies and equipment are too big or there is too much, landlords could make the tenant move the equipment because it was not laid out in the lease. The lease should state the extent the landlord will be involved in the moving process and what will be the responsibility of the tenant during that time. Make sure the length of residency in the lease matches what you have agreed upon. You do not want to think the agreement is only six months and end up stuck in the lease for a year. If you are having trouble reading the lease and the legal jargon involved, reach out and get help from a commercial lawyer. Having a plan and taking the time to look over the agreement can save you stress, time, and money in the future. The expense of a lawyer now could outweigh the expense of trying to terminate a lease. 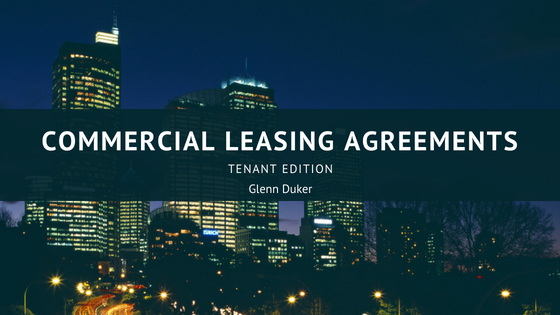 The commercial lawyer will help in the process of contracting a fair agreement between landlord and tenant and inform the tenant of everything the agreement states. Later on, if there is a dispute over the lease agreement, there is already a lawyer familiar with the terms of the agreement and can help settle the matter. So do not go signing a lease without reading through the ins and outs of it or having someone read over it and explain it to you.